Pharaoh Ramesses II is the most widely regarded Pharaoh of the Exodus depending of the time frame of his reign era. 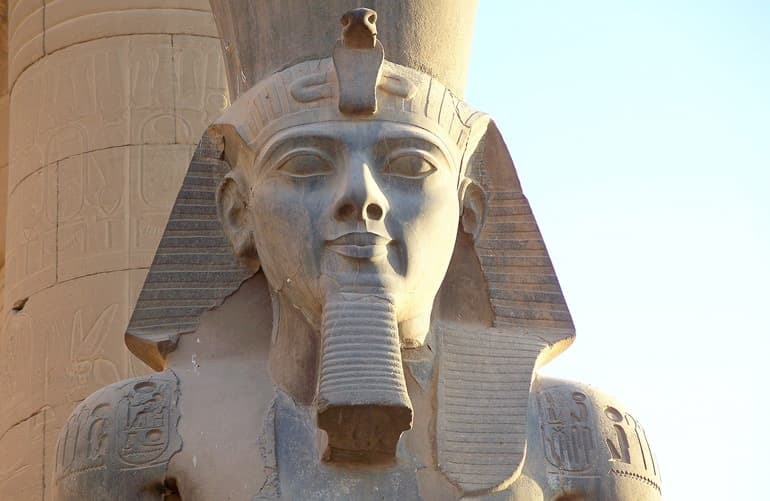 Born c. 1303 BC; died July or August 1213 BC; reigned 1279-1213 BC), also known as Ramesses the Great, was the third pharaoh of the Nineteenth Dynasty of Egypt. He is often regarded as the greatest, most celebrated, and most powerful pharaoh of the Egyptian Empire. Contrary to the popular belief of death by drowning as mentioned in Quran and Bible, while in pursuit of Moses, Ramesses II died a natural death at the age of 90. At the time of the death he was suffering from severe dental problems and was plagued by arthritis and hardening of the arteries. The Mummy of Ramesses II at Cairo museum, it is believed that Ramesses II was essentially crippled with arthritis and walked with a hunched back for the last decades of his life. 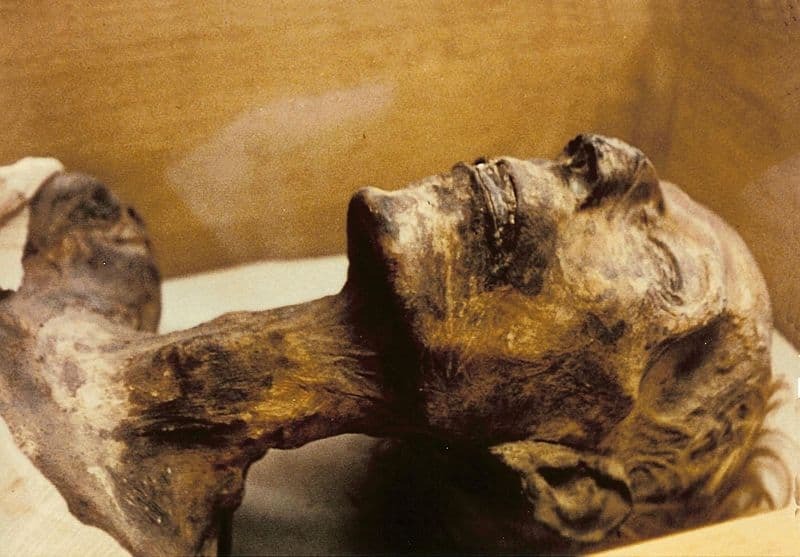 The pharaoh's mummy reveals an aquiline nose and strong jaw. It stands at about 1.7 metres (5 ft 7 in). Ramesses II originally was buried in the tomb KV7 in the Valley of the Kings, but because of looting, priests later transferred the body to a holding area, re-wrapped it, and placed it inside the tomb of queen Ahmose Inhapy.